That’s exactly what my sister says whenever a salesman or someone stops at her dairy and asks to speak with the boss. Annie smiled, and even laughed a bit when she said “You’re talking to her” to the hoof trimmer who stopped by her dairy looking for business while I was visiting this past week. He was looking for the manager and assumed she wasn’t it. I laughed too because it has happened before and doesn’t really surprise me anymore. Annie and me in her office on Thanksgiving Day. She manages two dairies that are 25 miles apart and have a total of 1,900 lactating cows. I was just visiting with an industry professional about my family recently, and it came up in the conversation that my sister managed one of our family’s dairies. He automatically said, “Oh yes, but with her husband?” I told him no, she is not married, and she is the lead manager of 1,900 milking cows, 400 dry cows, 150 calves, and 30 employees on two separate sites. 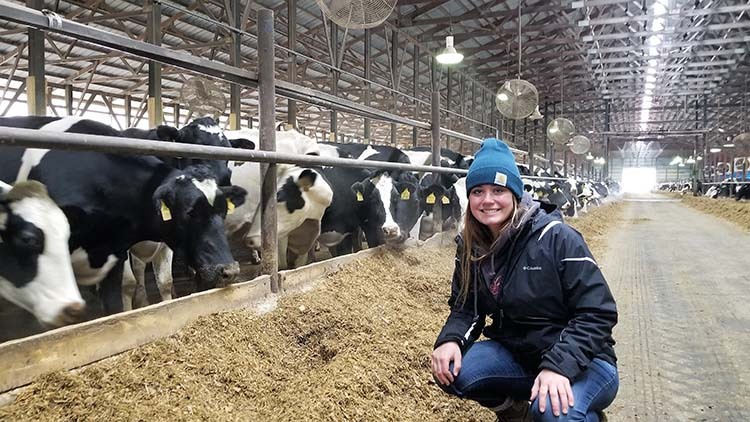 Annie has been managing the two dairies, Silverstreak and Bluestreak, since January of 2016. It bothers her that people assume she isn’t in charge, but if you would spend one day with her you would have no problem calling her boss. She works hard alongside her employees and is growing into a great leader. Nothing is so urgent that the job cannot be done safely — I always stress this first and foremost. 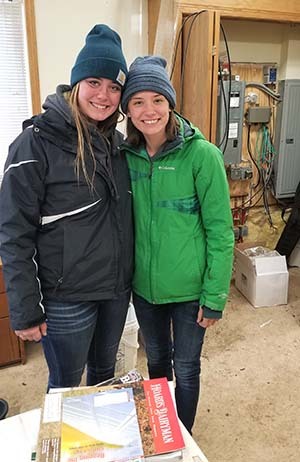 Take care of your employees and help others within the ag community — saying you will do something for or with someone, and actually doing it, goes a long way in our industry. With my employees it is not good enough to just get them on the bus, they need to be in the right seat as well. Try to help them find their strengths and use them to propel your team. Never stop asking questions and be ready to adapt to change. In the two years I have been a full-time manager, BST has gone away, we have changed to a simple ovsynch program, and so on. This won’t stop . . . you either continue to change and improve, or you will need to find a different career.